A.L.C. "Sedgwick" jacket in houndstooth check. 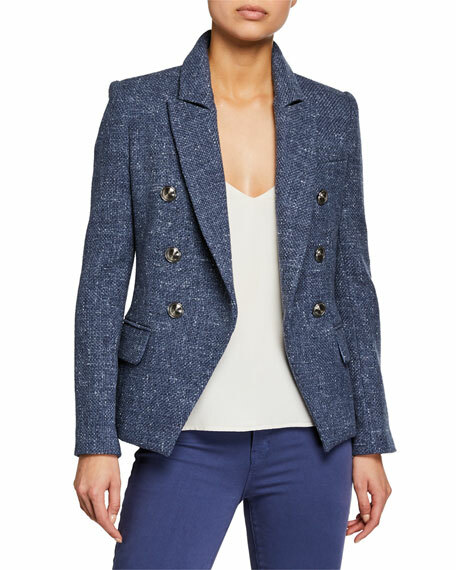 Derek Lam 10 Crosby "Bowery" twill blazer with subtle topstitching. Notched lapels; single-button front. Long sleeves; button cuffs. Chest welt pocket. Side besom pockets. Tailored fit. Vented back. Cotton/nylon/spandex. Polyester lining. Imported. 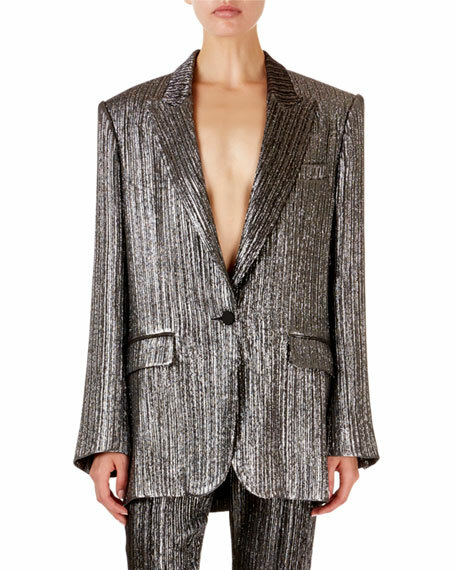 Isabel Marant blazer in metallic stripes. Peak lapel; one-button front. Long sleeves. Hip flap pockets. Chest welt pocket. Oversized fit. Cutaway hem. Viscose/silk/metallic polyester. Imported. 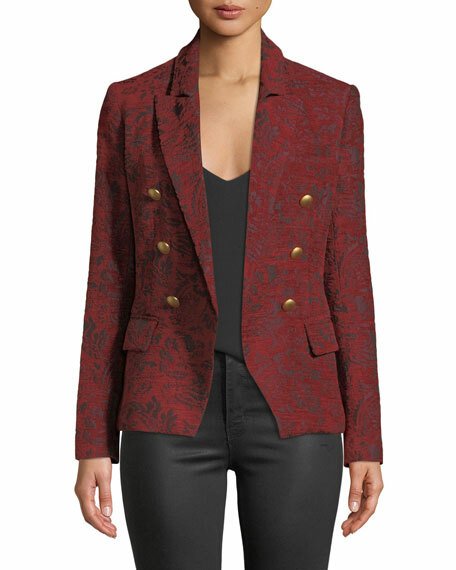 L'Agence "Kenzie" blazer in melange tweed with silvertone dome buttons. Approx. 26.3"L from shoulder to hem. 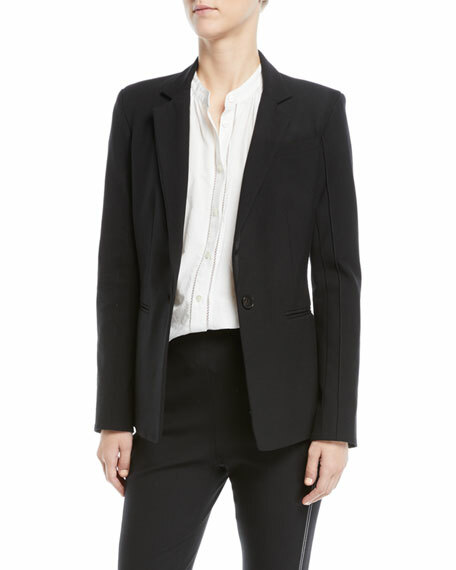 Peak lapels; double-breasted button front. Long sleeves; button cuffs. Flap pockets at hips. Tailored silhouette. Cutaway front hem. Polyester/cotton/viscose. Imported of Italian material.